Common names: Guelder Rose, Snowball Tree, King’s Crown, High Cranberry, Red Elder, Rose Elder, Water Elder, May Rose, Whitsun Rose, Dog Rowan Tree, Silver Bells, Black Haw. 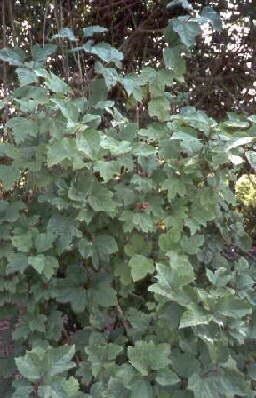 Plant Description: The Wild Guelder Rose, a 5-10 foot high shrub that belongs to the same family as the Elder, is found throughout England and is indigenous to North America where it is found mostly in the eastern United States. The bark is collected chiefly in northern Europe. When purchased, it appears in thin, grayish-brown strips with brownish warts. It may have faint cracks along it’s stem. The odor is rather unpleasant, and it tastes extremely bitter. It has often been used to make skewers. The active principle of Cramp Bark is the bitter glucoside Viburnine, and it also contains resin, valerianic acid, and tannin. Medicinal Properties & Uses: Cramp Bark is used primarily for menstrual cramps as it relaxes the smooth muscle tissue. For heavy and/or painful periods, dysmenorrhea, and PMS, Cramp Bark is effective in reducing the cramping of the tissues involved. It should be taken at the very first onset of symptoms. Cramp Bark has been used to relax the uterus and help to alleviate cramping during miscarriage. While it does reduce the pain, it does not stop an actual miscarriage. Cramp Bark can also relax intestinal cramping such as spastic colon, gas pain, rectal cramps, irritable bowel syndrome, and other colon cramping. It has also been been used with success in cramps and spasms of all kinds, such as convulsions and seizures and lockjaw, as well as in heart disease and palpitations, and rheumatism. Its astringent action gives it a role in the treatment of excessive blood loss in periods and especially bleeding associated with the menopause. Dosage: 30-60 drops in water or juice, 2-3 times daily, or as needed.